Michael Andrews was a painter. Like Bacon, early in his career, he exhibited at the Beaux-Arts Gallery run by Helen Lessore. This gallery played an important role in the development of post-war figurative painting in Britain. Other artists who exhibited there included Raymond Mason, Frank Auerbach and Leon Kossoff. Andrews also frequented two of Bacon’s favourite haunts: Wheelers, a fish restaurant in Old Compton Street, and the Colony Room in Soho. 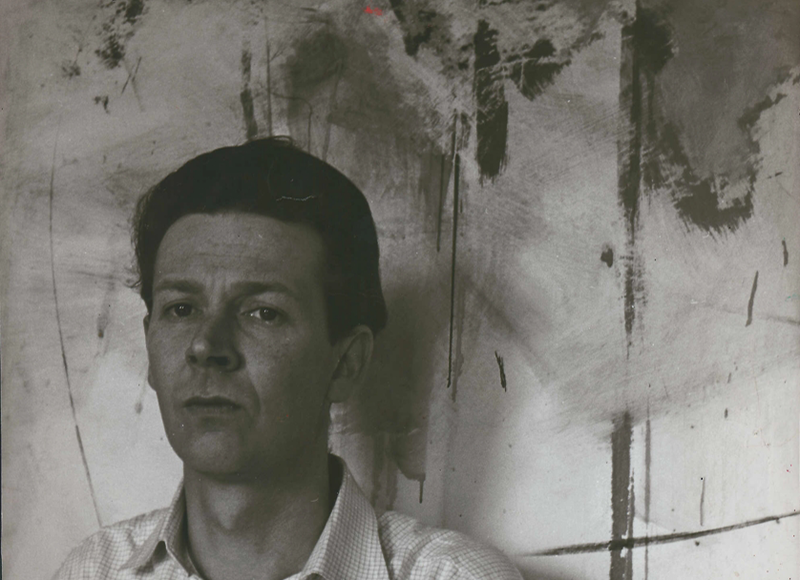 Andrews did a painting of the Colony Room in 1962, which featured Bacon seated at the bar with his back to the viewer in conversation with Lucian Freud. Muriel Belcher is seen behind the bar.